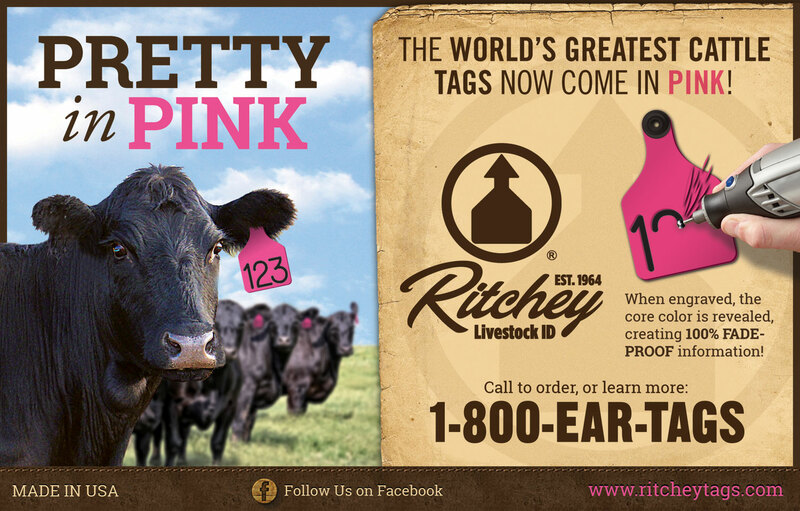 Ritchey Livestock ID, based out of a Brighton, Colorado, is the creator and manufacture of the World’s greatest cattle tags! What makes theirs the best? Ritchey tags are 100% fade proof. How? Their tags have a core color with 2 outside colors. The colors are NOT layers, they can not peel apart or separate because they are made out of one solid piece of material. When engraved, or heat stamped, the core color is revealed – therefor the tag number, brand, or whatever information that has been applied never wear offs. Like so many other websites, their old site was not mobile friendly, and with Google’s new mobile first indexing and over 1/2 of all web browsing done on smart phones – this was an issue. The new site, now utilizing a responsive design, renders beautifully on all devices. 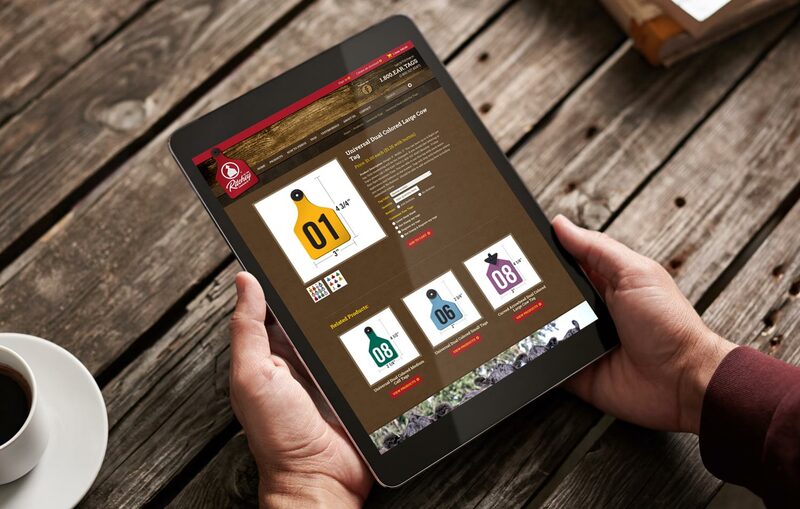 The new e-commerce store, powered by WooCommerce, has been simplified and streamlined to help improve conversion rates. We also implemented conditional logic on many of the product order forms to make the checkout process fell less daunting. The old website, which looked like a generic template, had tons of issues. 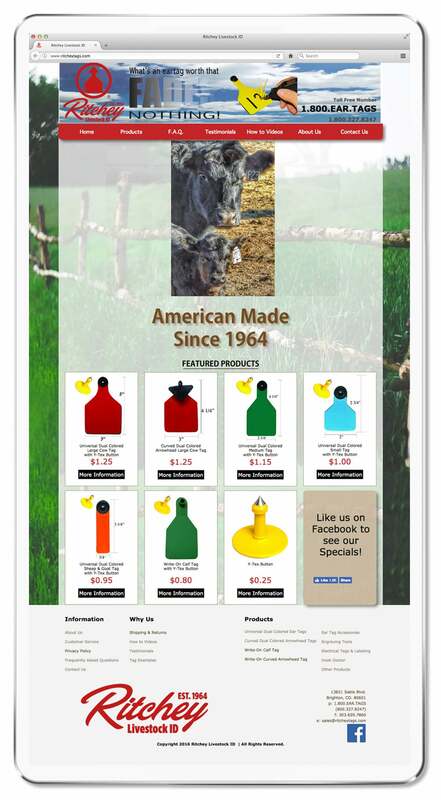 It was not responsive, the checkout process was confusing and not user-friendly, and the design was void of all character. 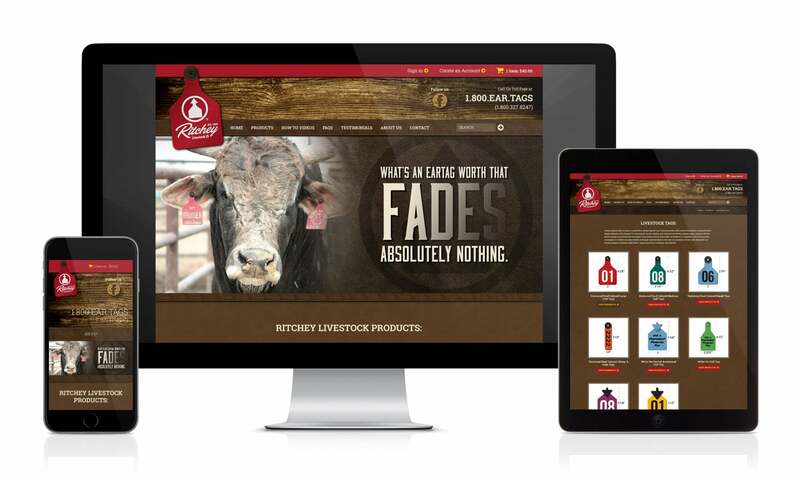 The new design now has a rustic aesthetic using weathered wood, old paper, leather and cow hide textures along with cattle photos to appeal more to ranchers, their core target market. 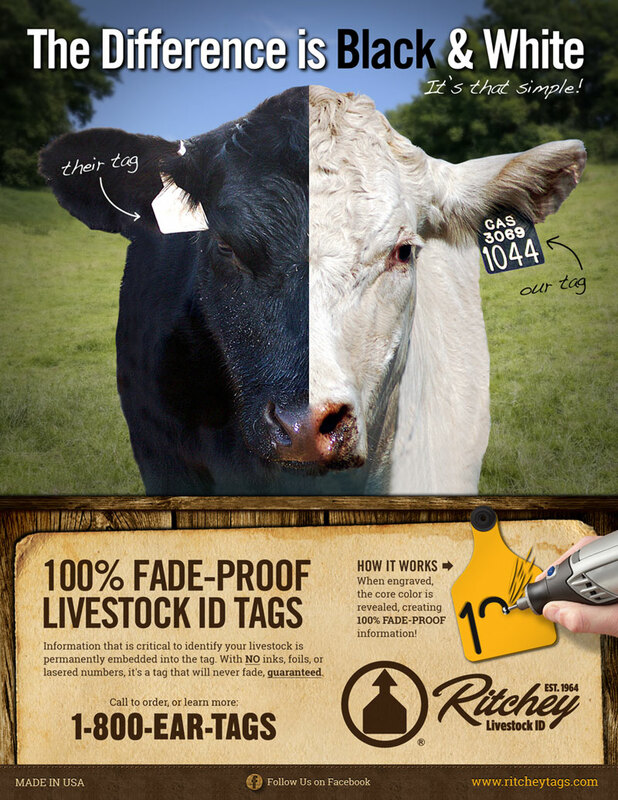 In additional to the website, Visual Lure also digitally recreated all their cattle tags to ensure correct colors and product consistency. 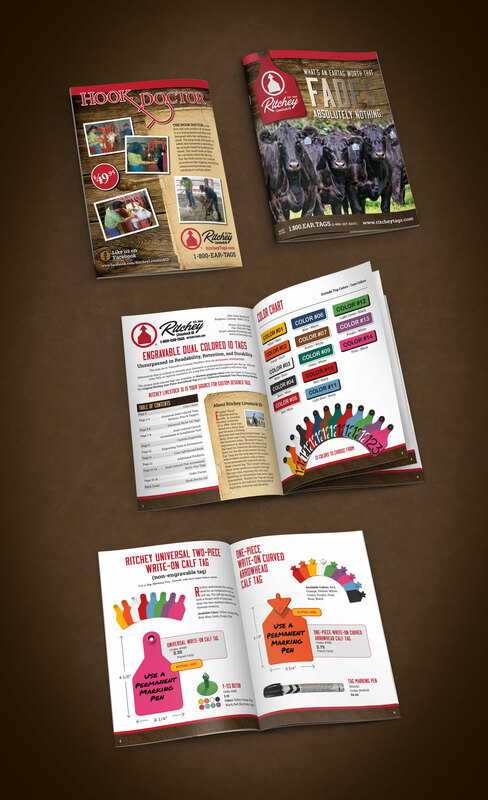 Using the same rustic wood background, old paper and leather textures from the new website, the catalog now complements it, and becomes the first step in the development of creating a visually cohesive brand. 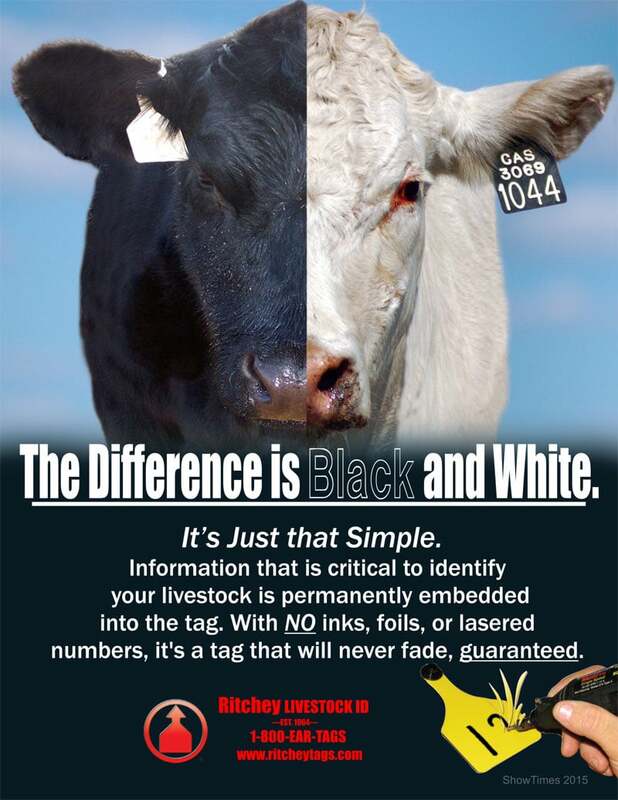 Below you can see the new cover, a new ad for their Hook Doctor product, and a couple sample spreads (along with some of the new digitally rendered cattle tags). Whether you need help with a new e-commerce website, print/graphic design, or assistance with creating a visually cohesive brand – contact Visual Lure today for a FREE quote.